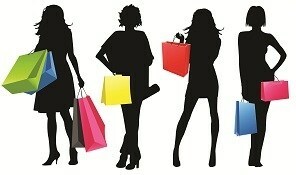 What is a better way than spending a rainy morning, afternoon or evening shopping? 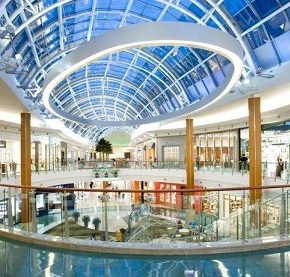 The Orlando area features a shoppers paradise! Big malls, factory outlets, flea markets... you name it, it's all there! Also Wal-Mart and Target stores can be found all around Orlando and Kissimmee, selling all kinds of products, clothes, shoes, electronics, games etc. for each size wallet. Wal-Mart Supercentre and Super Target also sell groceries, next to non-food. 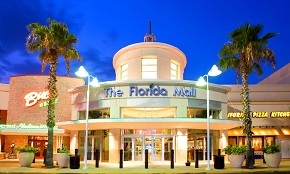 Central Florida's largest shopping destination, The Florida Mall features big name stores such as Saks, Nordstrom, JC Penney, Dillard's and Sears. There are over 250 stores in total as well as a range of fine eateries. Free WiFi available and as of the end of 2015 a brand new food court. The Mall at Millenia features over 150 stores and offers an extraordinary experience, for those of us who call Orlando home or those visiting Orlando for business or pleasure. Visitors from around the globe are invited to add world-class shopping to the list of Orlando attractions. A dazzling selection of international stores makes The Mall at Millenia an essential shopping destination. This exceptional collection of retailers is presented in a distinctive environment of dramatic architecture and amenities. 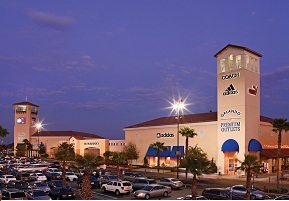 Orlando International Premium Outlets features over 180 stores. Find impressive savings at BCBG Max Azria, Coach, Cole Haan, J.Crew, Kenneth Cole, Lacoste, Last Call by Neiman Marcus, Michael Kors, Polo Ralph Lauren, Saks Fifth Avenue Off 5th, Thomas Pink, Tourneau, Victoria's Secret, White House Black Market. 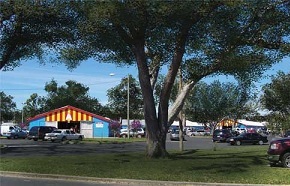 LBVFS features about 50 shops and is located close to Disney on SR535. Stores offer factory direct, premium quality merchandise at savings of 25%-75% everyday! Outlet favorites Include: Aeropostale, American Swimwear, Carter’s, Converse Shoes, Dressbarn and Dressbarn Woman, Eddie Bauer Outlet, Fossil, G by GUESS, Gap Outlet, Izod, Levi’s® Outlet Store, Loft Outlet, Nike Factory Store, Old Navy Outlet featuring outlet exclusives; OshKosh, Reebok, Samsonite, Timberland, Tommy Hilfiger, Travelpro, Under Armour, VF Outlet, VanHeusen, Vitamin World, Wilsons Leather Outlet and many more! 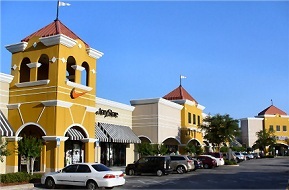 Pointe Orlando offers over forty unique stores, delicious restaurants and exciting nightlife near Orlando's entertainment center, International Drive. It also features a Regal Cinema theater. You will have to pay for parking in the garage next to Pointe Orlando though. 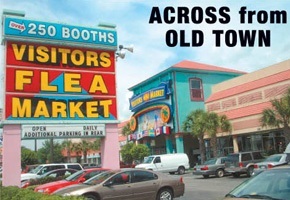 One of the oldest flea markets in Central Florida with over 400 booths, located near US192 Mile Marker 15. There are millions of items for your souvenir or daily uses, such as, Disney souvenirs, Florida T-shirts, jewelry, watches, electronics, shoes, gifts, toys, crafts, housewares, clothes, cosmetics, perfumes, health products, luggage, handbags, sunglasses and much, much more. Furthermore, these items are provided to you with very low prices. Not the same as the malls, but maybe it's nice for a quick visit. Visitors Flea Market has over 250 dealer booths which sell millions of items for you to choose from. It's located at Mile Marker 9, just across the street from Old Town. Nice for a short visit. Maybe there is something for you to buy, but it is nothing like the bigger malls.